In June of 2018, Governor Charlie Baker signed into law what was dubbed a “grand bargain” bill. This law will impact businesses over the next few years as it included incremental raises in the minimum wage rate for both regular and tipped employees, guaranteed paid family and medical leave program, established a permanent new payroll tax to help fund the medical leave program, and eliminated the time-and-a-half pay for retail workers on Sundays and holidays. This seminar will review these law changes, when they go into effect, and how they will impact business owners over the coming years. 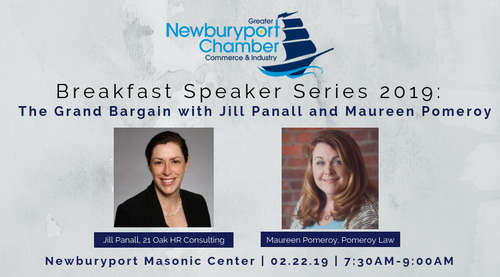 Maureen Pomeroy, a business and employment attorney, will present on the details of the law and Jill Panall, human resource consultant, will provide advice on how employers can inform and deal with the impact these law changes will have on employees. 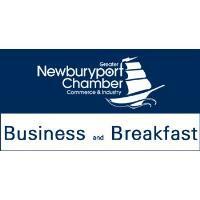 Please join us for an informative seminar that will benefit your business.